Lucky is as lucky gets. 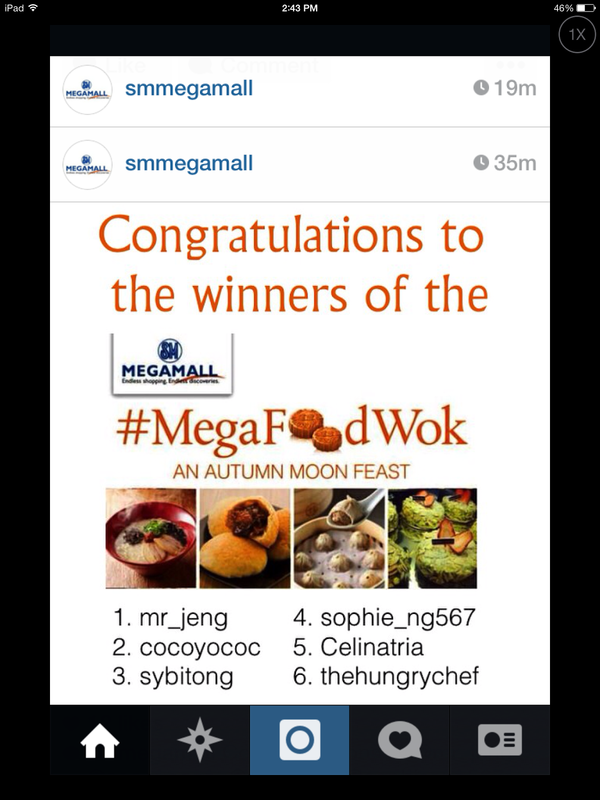 Not knowing what would happen, I joined and won a slot to SM MEGAMALL's MEGAFOODWOK. This particular food tour was curated by no less than pretty and famous food blogger Jin of JINLOVESTOEAT. I was seriously dumbfounded and my jaw dropped because this lady is not only awesome but she knows her food and is quite funny too. I actually stumbled upon this contest of sorts through Jin's IG. You see I have been a secret stalker follower of Jin's Blog and IG for more than a year or two. If haven't checked it out, you would be in for a treat! 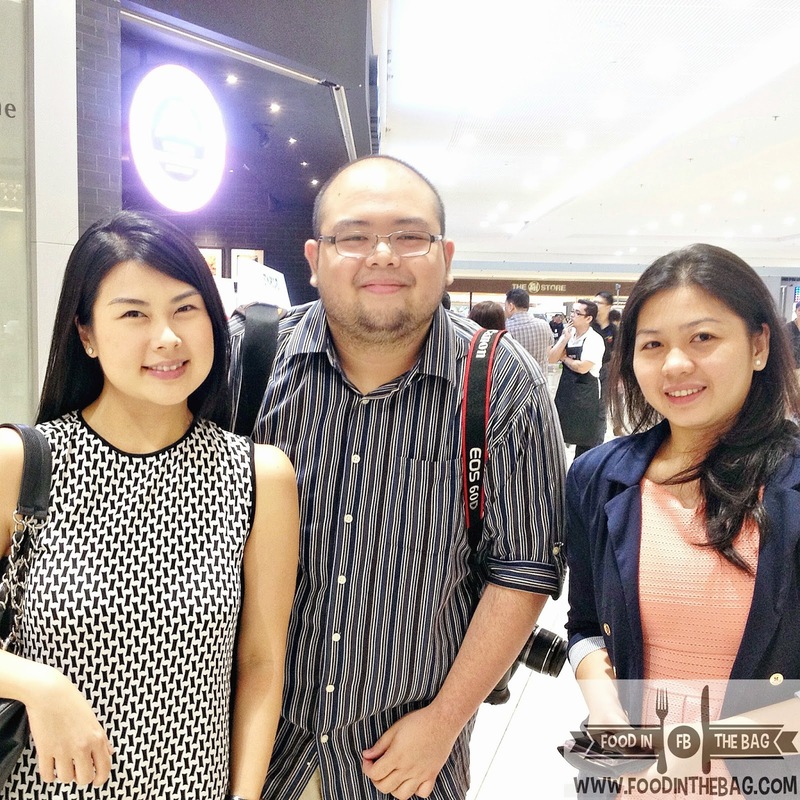 SM MEGAMALL celebrated the Mid-Autumn Festival through a lot of offerings and one of them is this awesome contest in the tune of a Food Tour. Meeting place was smack in the middle of the new SM MEGAFASHION MALL. 1st stop was the impressive TIMHOWAN. I believe I have visited this place around 3-4 times already and this is by far the most impressive one. Why? Well, 1st off we didn't need to line up and everything that was served was fresh off the bat. Comparing all of my visits, this seems to have the freshest and the awesomest food quality among all of them. I wonder why? It must have been through Jin's Magic. The PORK BUNS were hot, crisp and cooked true to its form. Melts in your mouth. I would have thought this was a scary veggie dish but thankfully, the SPINACH and SHRIMP DUMPLING didn't disappoint. Moist and believe it or not, the spinach were all imported. Another of my favorites would be the WASABI SALAD PRAWN DUMPLING. The dressing wasn't hot and works well with the deep friend dumpling. A little trivia about TIMHOWAN: If you order everything off the menu, the bill would be less than 4,000 Php. Sulit! The STEAM EGG CAKE was fluffy and normal. Not really my thing. To cleanse the palate, we headed on over to CHEZ KARINE. A favorite of mine in SERENDRA, this dessert place definitely knows how to treat its patrons. Jin knows what she is talking about. If you listen carefully, you get to learn about a lot of food trivia. We were able to try out the new BLACK SESAME MACARON ICE CREAM. Reminded me of DOJO ICE CREAM's (click here) version but a little sweater. The macaron shell gave this dessert a little more texture. After this short dessert, we moved on up to a Chinese Foodie Heaven, LUGANG CAFE. Thankfully, one of the things they served us was coffee! ARABIAN COFFEE. Through the use of this Arabian contraption / siphon, coffee is made through vacuum. I am no scientist but to put it simple, the water goes back and forth to make one awesome pot of coffee. Instead of the kimchi flavored, we had the CRAB ROE XIAO LONG BAO. Warm broth gushed out of the dumpling! Proper way of eating is to mix this with the ginger laced sauced! Remember eat it while its hot.! We were also able to try 3 CUP CHICKEN. 1 part of everything man would need in their Chinese Dishes! SOY SAUCE, RICE WINE, SESAME OIL. The KUNG PAO TOFU was something I wasn't expecting. I was actually quite impressed with the sweet flavor. It wasn't too spicy but I liked it. A fresh take would be LUGANG'S CHOPPED SHRIMP IN LETTUCE CUPS. Crumchy yet you know that you are eating something healthy and yummy. Although, not really Chinese themed, Jin figured that we should all try LINGUINI FINI. 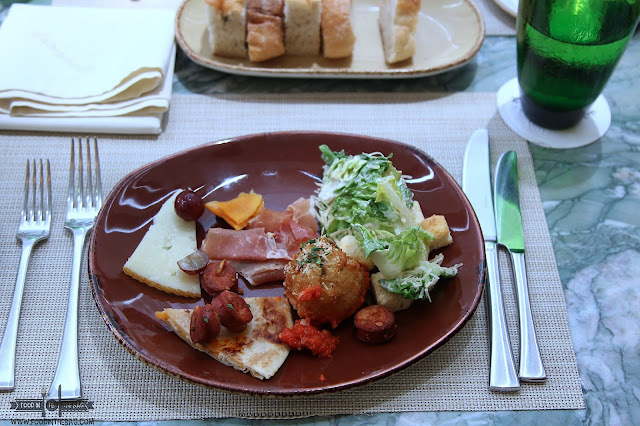 A farm to table concept out of Hongkong, this restaurant offers awesome Italian dishes that has a bit of local infusion. Only on its third day of operation, this place gives off a perky and steady chill vibe. Coming from The Moment Group, you definitely know you are in for a treat. 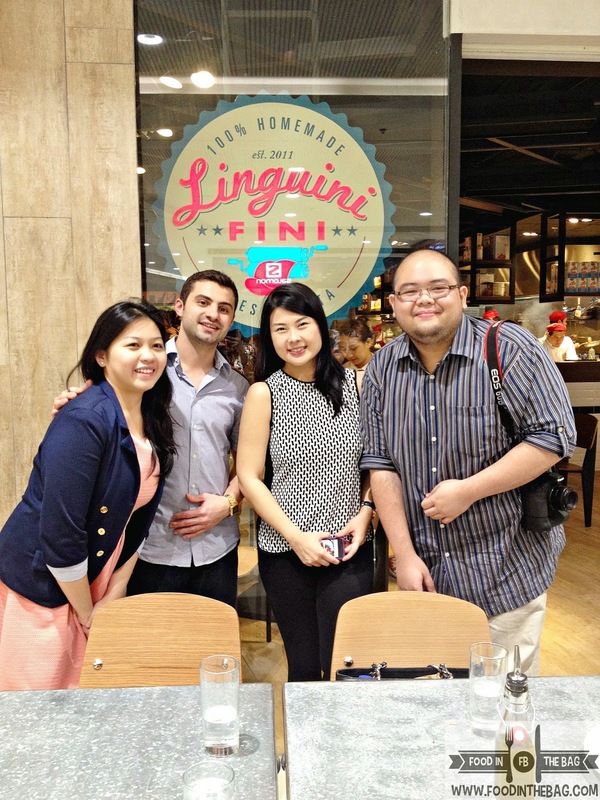 With SO, Executive Chef Vinny Lauria, Jin, and me. Being our last savory stop, we tried some of Jin's Favorite dishes. 1st up was the PAPPARDELLE or the "Nose to tail" Bolo. The pasta was cooked al-dente. It was cheesy while the meat sauce wasn't overpowering. I liked how it was simple yet delicious. Sadly, the longganisa pizza wasn't available so we had to settle for PORCHETTA PIZZA. It wasn't anything to settle for as the crust was really chewy and crunchy at the same time. The toppings were fresh and gave you that awesome food high. and you know what their spicy home made sauce was incredible. It gave that punch you need that elevates the flavors. and on to our last two dessert places. First one was MOCHICREAM CAFE. The MATCHA DACQUOISE is their take on meringue-like dessert. Layers are placed on top of one another with matching matcha flavor. Nuts were there to enjoy! To pair, we had the MATCHA LATTE ESPRESSO. It ain't sweet but it is green tea goodness! SO wanted to take some home just because. Our last and final stop led us to KOOL KIDS. Ice cream here are made to order and are KOOL! Through this process, we were served a lot of delicious flavors. FRODOUGH or ice cream placed in warm doughnut. Just like those "dirty" ice cream! and everyone's favorite, YUZU. Or Japanese Lime. Citrusy. Almost like a kalamsi sorbet to wipe all the flavors in your mouth. and with that, we ended everything with a bang!! Can you see my face? Forgive me, that's the feeling of BUSOG creeping up. So Help Me God. Visiting 6 restaurants in a little span of time was an amazing feat because of the time and the constraints we had. Foodies would definitely enjoy a tour such as this. The tour guide and the companionship definitely spur the light and fun tour. The food was chosen properly and they blended well with one another. Thank you so much Jin for letting us experience your favorites! DISCLAIMER: Won a pair of tickets through joining Sm Megamall's IG contest. Wrote this post based on my experience and opinion. Thank you very much Jin of Jinlovestoeat and Abigail and the rest of SM MEGAMALL's staff.